I Love Jesus handwriting printable. Practice tracing bible words in capital uppercase letters. Part of our Bible words selection of handwriting worksheet activities. Thank you for previewing our I Love Jesus handwriting worksheet from the bible words selection which is made available in pdf format. Preview and print this worksheet below. 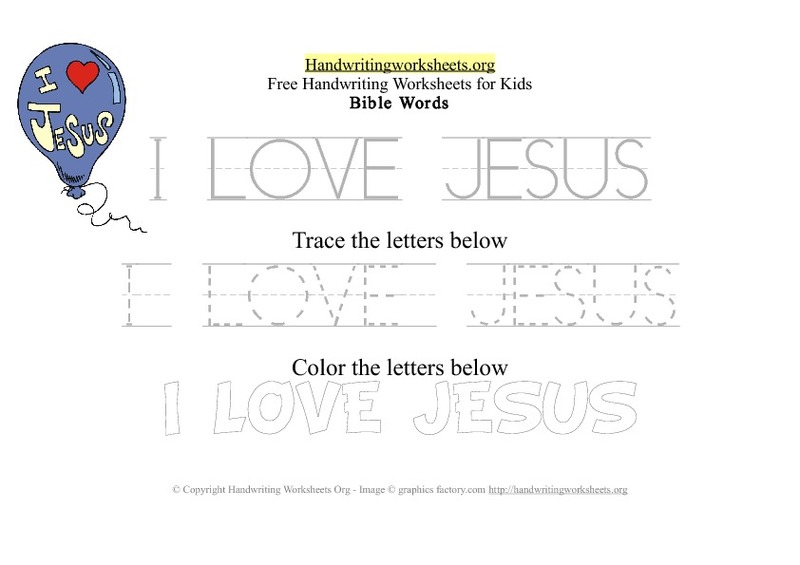 You can print this bible words I Love Jesus worksheet for free. These printable PDF worksheets are formatted to print on A4 paper.